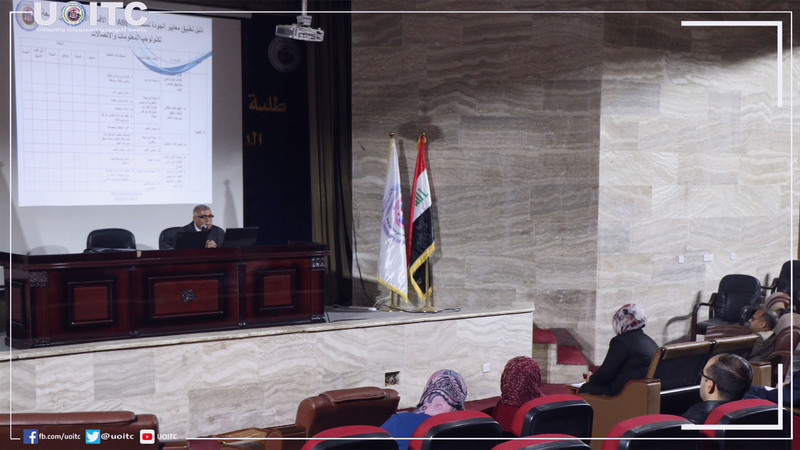 University Holds a Symposium about Quality Assurance Standards..
Department of Quality Assurance and University Performance in the University of Information Technology and Communications has held a scientific symposium to clarify the guide for ABET’s quality assurance standards for academic sections in the university. The presenters (Lect. 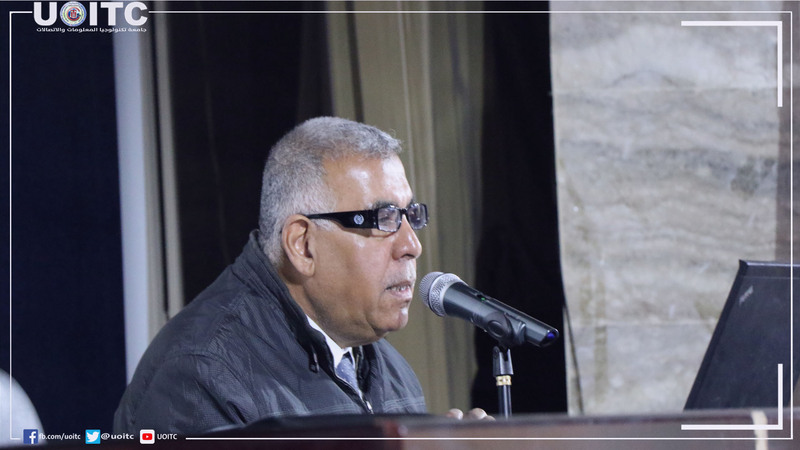 Jamal Ahmad Othman) and (Senior Researcher. Omar Abdulmajeed) have given a detailed explanation about ABET’s international standardization metrics. The symposium’s aim was to introduce the audience to the quality application procedure for academic sections of the university, in addition to organizing a guide to follow up executing these procedures by assigning execution indexes and identifying responsibilities and necessities for procedures implementation, and then documenting all quality-related workflow steps according to ABET standardizations. It is important to point to the forms that the presenters have shown consisting of each standards, such as (alumni) form, that describes graduate students’ opinions and their experience with graduation research and projects, which is done by a specific working team or individually according to university’s regulations.